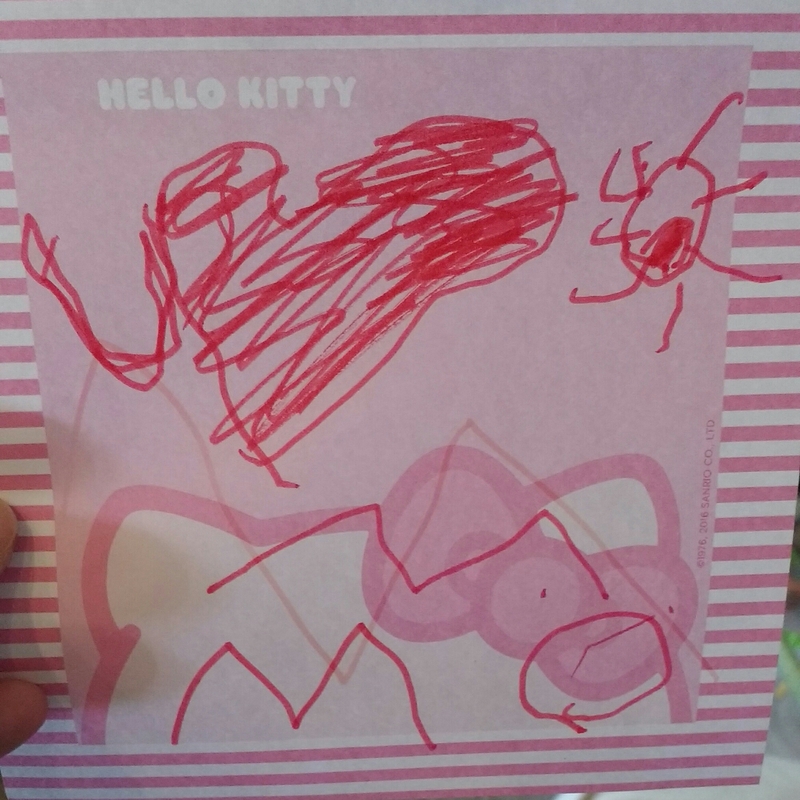 The kids wrote me a series of love notes today. Henry’s is first and is a pretty big deal, because he is only now showing an interest in reading and writing things other than his name. It’s written backwards and is a pictogram (👁 ❤ U) but that’s totally awesome, because it’s still him putting a thought into sentence form. 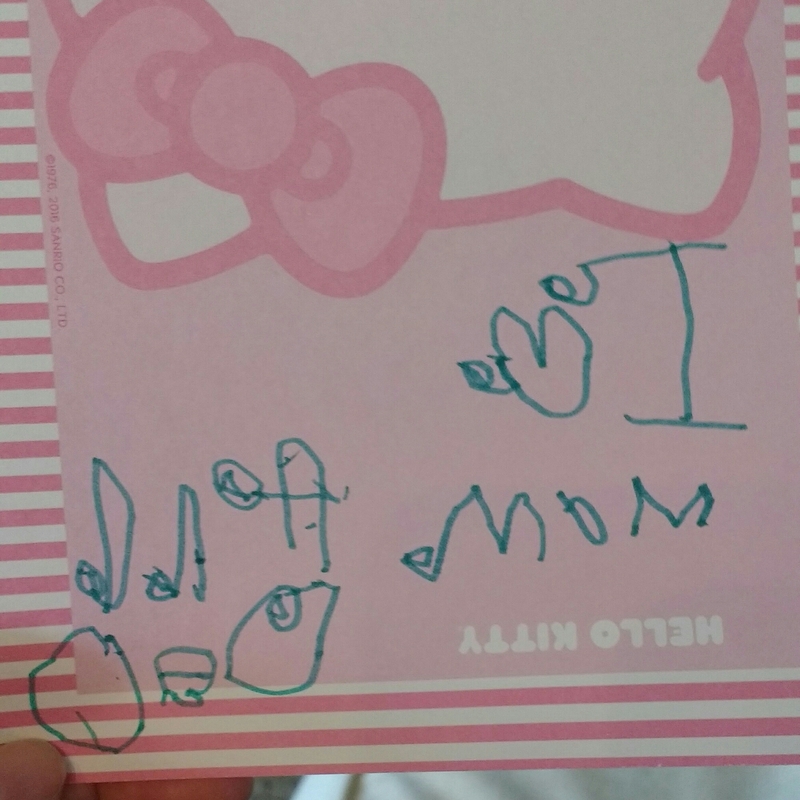 And he wrote “mom”! The next two are Eleanor’s. 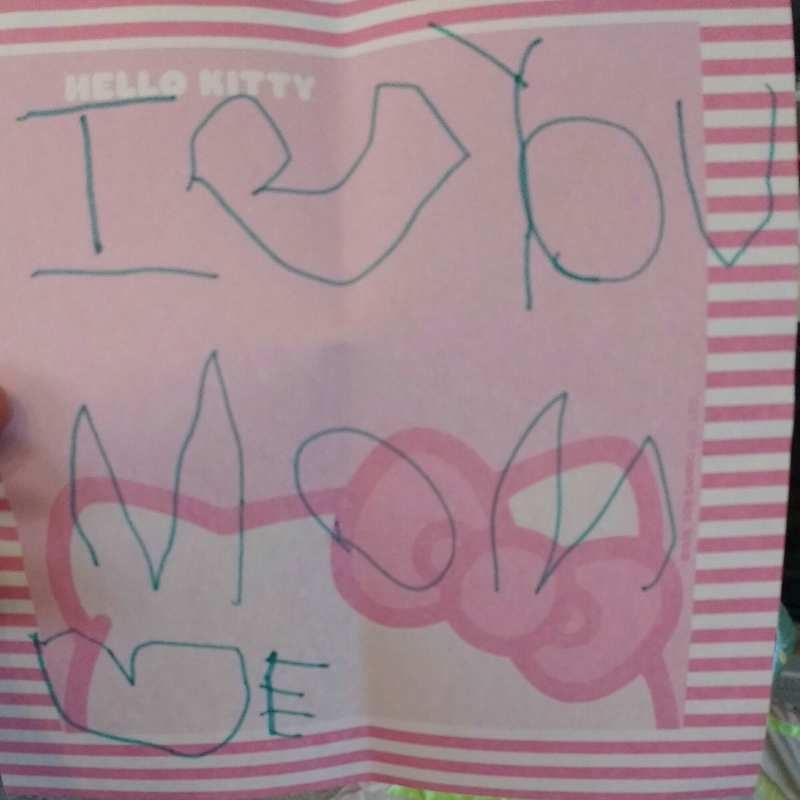 The first shows off her letter-writing skills (I ❤ you mom ❤E), and the second is how she does fancy letters like Santa (also totally backwards) (I ❤ mom and dad).